In order to hunt with our modern inline muzzleloaders, we must choose a load to shoot. The type and amount of powder and the primer is important, but the choice should start with the bullet. That bullet should be one that performs in the field at a variety of distances and angles for a particular game animal. Then we have to find out if our gun will shoot that bullet accurately. The chances of finding the right combination the first day at the shooting range would be like drawing a limited entry tag with no bonus points. So how do we get started? There are basically four types of muzzleloader bullets for the modern in-line muzzleloader. If you have chosen to shoot a modern inline muzzleloader, it makes little sense to shoot round lead balls. Lead balls are for old-school muzzleloaders and replicas and for people that want to hunt the way their great-great-grandfathers hunted. Modern muzzleloader rifles perform best with modern bullets. For hunting very large and dangerous game, especially at close range, heavy conical lead bullets are probably what you need. But for deer and elk, the modern .45 cal bullets and sabots are the way to go. They are many options with sufficient mass (250-300 grains) for penetration, plus they have better ballistics, controlled expansion and weight retention than .50 caliber lead conical bullets or Power Belts. Power Belt Bullets still have their fans, but I do not understand why. The perfect bullet would be one that shoots fast and flat, hits hard, expands in a controlled manner, penetrates deeply and has 100% weight retention. But no such bullet exists, so there are many compromises and trade-offs when choosing the projectile characteristics we want. If given a choice, we want a projectile that fits tightly in the barrel, but no so tight that we are not certain the bullet has fully seated against the powder or that we accidentally crush the pellets. A tight fit in the barrel gives higher muzzle velocity (MV) and better spin for accuracy. We like heavy bullets because they penetrate deeper. But with the same amount of powder, a heavier bullet will have lower MV than a lighter bullet. Low MV causes rainbow trajectories which can be greatly affected by wind. Higher MV gives a flatter trajectory, which is good, because the wind has less time to affect a big fat bullet and the bullet drops less on the way to the target. We also want bullets that are more aerodynamic (higher ballistic coefficients), so velocity and energy don’t bleed away too quickly. We can get higher MVs by using more powder, but for most guns, that usually makes our shot groups worse. This is an example of diminishing returns, where an increase in powder may not increase MV very much, but causes a decrease in accuracy. We need a bullet that holds it’s shape and mass while coming out of the barrel because that helps to keep the velocity and energy up. We also want a bullet that holds it’s mass after hitting the target, but we want it to expand in a controlled manner, deforming just enough so a wider channel is cut through the flesh without breaking the bullet apart. 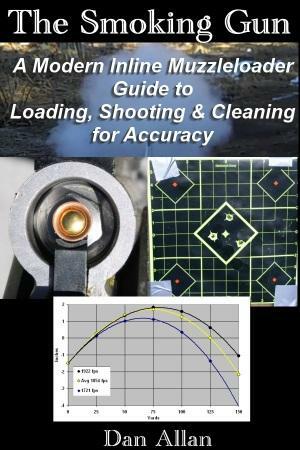 The best expanding bullets are those designed specifically to do just that and do not simply rely on the properties of pure lead that simply blows up on impact. We also want all the energy of the bullet to be spent inside the animal and not in a tree or a hill on the far side. But before we stress too much over the selection of the perfect bullet, we need to remember that a well placed shot with the absolute worst 200+ grain bullet is better than a poor shot with the best bullet. 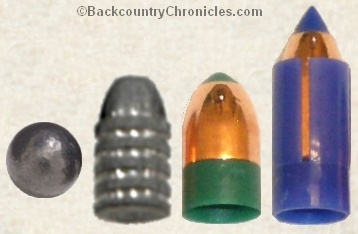 Picking the best bullet for all situations is more complicated than simply choosing a specific brand, shape or weight. If we knew ahead of time we were going to take a lung shot at 25 yards, we might pick a pure lead conical bullet, but if we needed to make a 150 yard shot into an elk’s shoulder, a hit from a lead bullet may not do the job and could only wound the animal. In that case, a 100% copper bullet, or at least a bonded copper & lead bullet would be the best choice. Since we don’t know what situation we will encounter, we need a bullet that performs well under a variety of situations. The swaged lead conical bullets perform best at short range, but will fragment, especially if they hit bone. The full bore; 50 caliber size gives them poor ballistics. They are available in a variety of sizes up to 600 grains. Power Belt Bullets are copper coated lead bullets with a plastic skirt that are probably best for short range shots. Like conical lead bullets, they also have poor ballistics because of the big fat 50 caliber profile. Power Belt Bullets are available from 175 – 444 grains. Today, there are lots of options for modern .45 bullets and sabots. 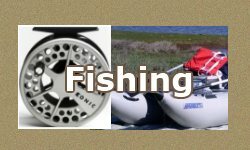 They are available in lead or copper and hollow point for expansion or tipped with a plastic polymer for better aerodynamics. Lead hollow points are best used at close range and the Barnes 100% copper bullets will work both near and far, especially the tipped bullets. 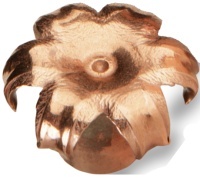 The 100% copper bullets are also best for weight retention and the copper is designed to create six cutting petals upon expansion. Even if a Barnes copper bullet does fragment, the fragments are only copper or the plastic tip. I’ve heard many old-timers scoff at the idea that consuming lead in wild game was a problem. Several years ago, a salesman once asked me why I used Barnes bullets in my muzzleloader. He nodded approvingly when I said they shoot well from my gun, but acted as if I were a leper when I told him I also liked the fact they didn’t contain lead. I am sure it wasn’t the official policy of the sporting goods store, but he muttered something under his breath and stomped away. He was obviously concerned about the talk of banning all lead projectiles (which California has now done for hunting). Lead in the environment in one thing, but lead in meat we plan to consume is something else entirely and can have serious consequences on brain and nervous system development for young children and developing fetuses. It is also starting to be a problem for hunters that want to donate wild game to food banks. Minnesota Dept. of Natural Resources did a study to see how much and how far lead fragments spread from various bullets. They found more lead fragments they previously thought and they found that small lead fragments spread farther (up to 15 inches) away from the entry and exit points than previously suspected and many fragments are so small, you would not feel them. Just one more reason why I use Barnes Muzzleloader bullets. There may be no perfect bullet, but for mule deer and elk, Barnes Spitfire T-EZ Bullets are my choice. A lot of us are fans of conical bullets because that is all we are legally allowed to use. Several western states ban sabots. 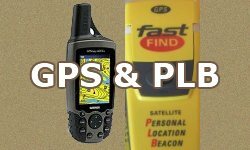 Only VERY recently have we had more options than powerbelts of big lead. Wish we had some more companies get on board. Yes, Colorado, Idaho, Montana, Oregon & Washington do not allow sabots for hunting with muzzleloader. 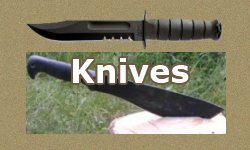 I understand the argument for keeping primitive weapons primitive, but I also think it is important to make clean kills and reduce wounding and losing game. When in doubt, we should err on the side of better options for humane kills. Thanks for the clarification Clarence. Other states also allow sabot bullets and magnifying scopes during the “Rifle” or “Any Leagal Weapon” hunts. Your very welcome. I did not mean to sound grouchy or know it all. I do wish we had a general muzzle loader season like they have with the archery with no restrictions I think you would see more get involved in the muzzle loader hunting maybe they would put down the 5 shot autos and join us in some real hunting. No offense taken. Your point was a good one and many choose to hunt with their muzzleloaders during the “rifle” seasons when the restrictions imposed during the muzzleloader season are lifted. I generally support any rule change that increases the chance for a clean kill. 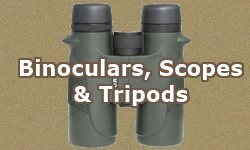 Allowing non-magnifying scope help us old guys that can’t focus on target and back sights at the same time. Magnifying scopes help everyone keep’em in the kill zone (assuming they took the time to sight-in). And there is no question that modern sabot bullets are more accurate and many have better terminal ballistic characteristics than lead balls or round conical bullets. All of these things help, but none guarantee clean kills. 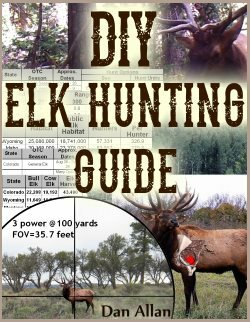 During this year’s elk general rifle season, I heard 3 separate rifles in the same area shoot a total of 13 times within about 10 seconds. I can’t imagine anything good was happening there. There will always be those that just zing one out there to see what happens and apparently some will even zing 13 shots. I hope they were trying to bring down a single wounded elk and not shooting at the herd hoping for a hit. I prefer hunting during the muzzleloader season, so I’m with you on the “real hunting” thing, but that starts to fall into the “in the eye of the beholder” category. During the rifle season I hunt with a single shot, but what I like most about the muzzleloader season is the lack of “company”. See my post on Top 3 Reasons to Hunt with a Muzzleloader I have over 17,000 acres to myself (see table in post) during the spike elk muzzleloader hunt. As I have said before; “I hope I don’t see you, except in camp and on the roads”.